If you are aiming to improve your bathroom, you might want to look into hiring a bathroom refinishing company. Hiring a bathroom refinishing company is one of the best things that you can possibly do for your bathroom. In this article, we will discuss some of the reasons why you should connect with Bathtub Restorations for your bathroom refinishing project. Why Should You Refinish Your Bathroom? 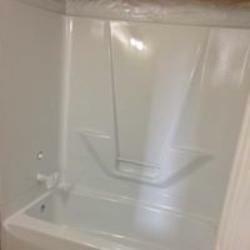 One of the main reasons you are going to want to consider hiring a refinishing company is because it is much less complicated than completely replacing your current bathtub. Prior to going out and purchasing a brand new tub, you are likely going to want to at least consider having it refinished because it is going to allow you to get similar results without having to go all out and replace the entire thing. Replacing your tub altogether can lead you into a direction that might even force you to redo your entire bathroom. Being able to refinish your tub leads to a much more affordable option compared to replacing it. Because you will be able to get away with not having to redo anything completely and because you will be able to avoid demolishing and tearing out the existing tub, it is going to allow you to save a lot of money on the entire project. There are plenty of costs associated with completely redoing your bathroom that you want to be aware of including but not limited to hiring a contractor, getting rid of your current tub and even potential permits that you might need as well. 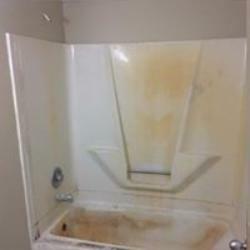 You will be able to avoid all of this by allowing our highly skilled contractors refinishing the tub for you. Dealing with complete overhaul and construction on your bathroom can take weeks and sometimes even months. Not only will it keep you from having a bathroom that you can use in your home, but it is going to cause a lot of noise and disturbance around your home that you simply might want to avoid altogether. However, refinishing can be completed in as little as 4 hours (tougher jobs may take a few hours longer) making the entire process much less stressful on the entire family. 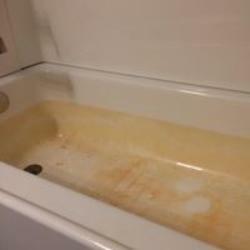 Simply put, there are plenty of reasons to refinish your tub instead of replacing it. Call us at 614-477-7672 if you have any questions or simply want to chat.